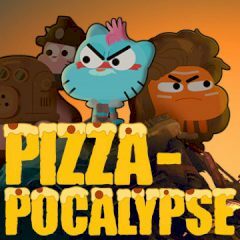 The Gumball universe replaces the worms in this game. Now all your familiar characters are gathered to beat the enemies on the cruel battlefield. You have to save on of your friends who had been captured by Banana Joe and others. Go out on the rescue mission and save him from the imprisonment working in a team with your teammates. Grab some powerful weapons with you and use them to come closer to the Joe and other villains.